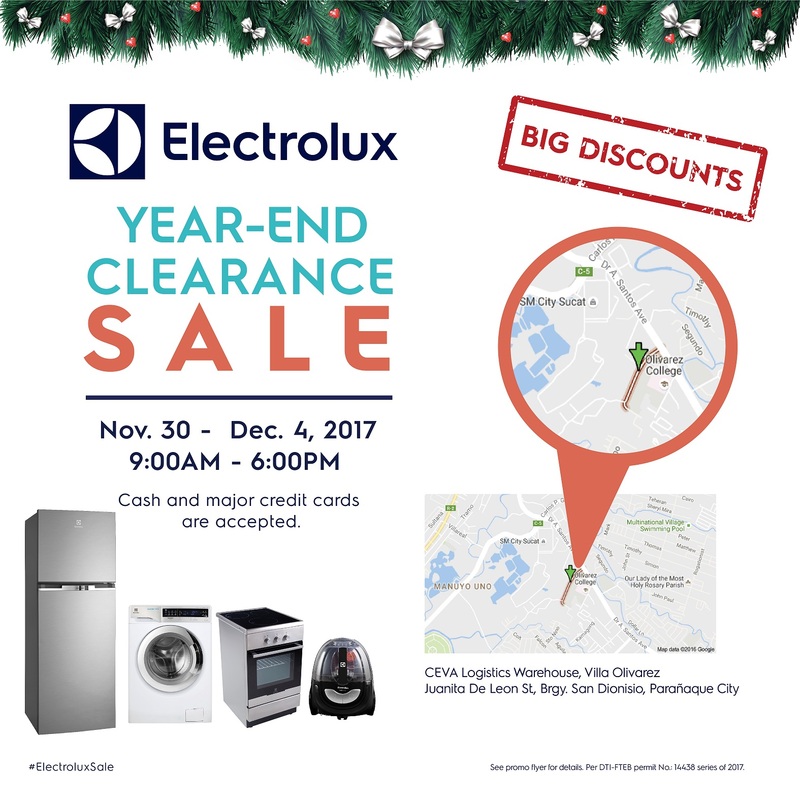 Check out the Electrolux Year-End Clearance Sale this November 30 to December 4, 2017 at CEVA Logistics Warehouse in Sucat, Paranaque. Enjoy big discounts on Electrolux home appliances! 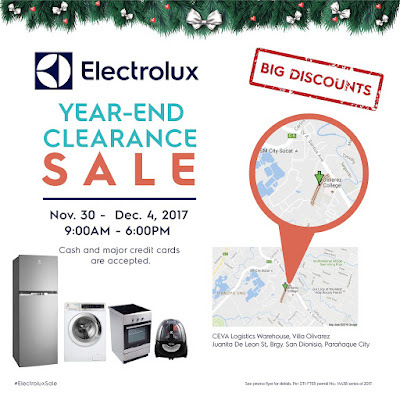 Get up to 70% off on Electrolux appliances, such as refrigerators, washing machines, ovens and more! Customers may pay using cash or major credit cards. Product testing is even available at the event site. Sale Hours: 9:00 a.m. to 5:00 p.m.
Cash & credit cards accepted as payment options.